Baraboo, WI –First Presbyterian Church of Baraboo was certified as an Earth Care Congregation by Presbyterian Church (U.S.A.)'s Presbyterian Hunger Program through February 2020. This honor speaks to the great commitment that First Presbyterian Church has to caring for God's earth. The Earth Care Congregation certification is designed to recognize churches that make the commitment to take seriously God's charge to “till and keep” the garden. Started in 2010 by PC(USA) Environmental Ministries, the goal of this program is to inspire churches to care for God's earth in a holistic way, through integrating earth care into all aspects of their church life. 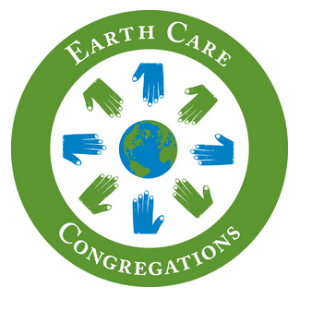 The Earth Care Congregation certification honors churches that make that commitment and encourages others to follow their example. “It is exciting that First Presbyterian Church of Baraboo is one of the 230 churches that chose to dedicate themselves to intentional care of God's earth this year. The congregation's activities and commitment will inspire others to respond intentionally to God's call to care for the earth,” says Jessica Maudlin, Associate for Sustainable Living and Earth Care Concerns for the Presbyterian Church (U.S.A.). For more information about First Presbyterian Church's Earth Care program contact the church at 608-356-5945 or email greenteam@presbybaraboo.com.